The cities of The Hague and Rotterdam are relatively close together, they even share the same airport, although it is admittedly closer to Rotterdam. Cycling to Rotterdam always seemed like an interesting adventure. We had been to Delft several times already, and this seemed like a logical next step. We had friend who could offer us bed for the night. She lived in Overschie, which is on the outskirts of Rotterdam, so no need to pack any camping gear. All we had to do is get on our bicycle and head south. I thought I was familiar enough with the city to find my way, but heading in a general direction when the streets force you another way can be difficult. Eventually we found our way out of the city, but it was probably not the quickest way. 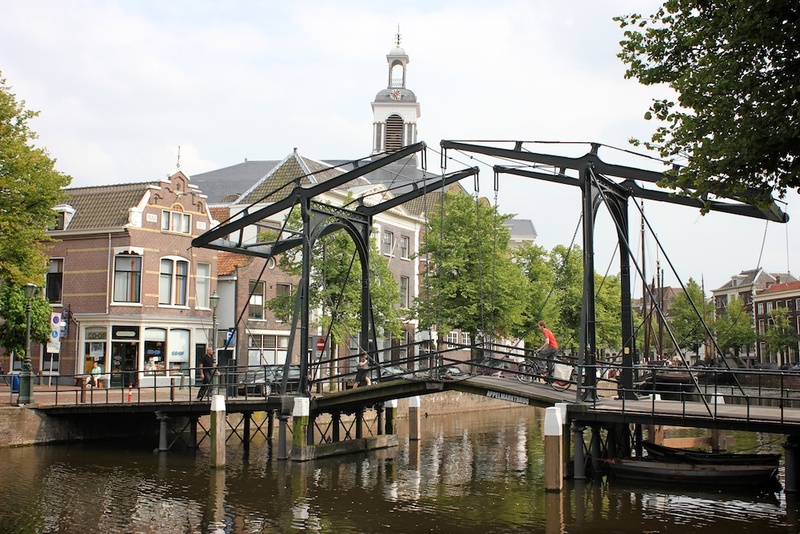 Once outside the city we followed the signs pointing towards Delft, where we had a lunch break. After that it was a smooth and easy ride along the channel. Although this is one of the most densely populated areas of Europe there is surprisingly much green, and the houses that were there really had the small town charm that you would expect to find in more rural areas. After arriving in Overschie and taking a short brake our friend took showed us around the area. 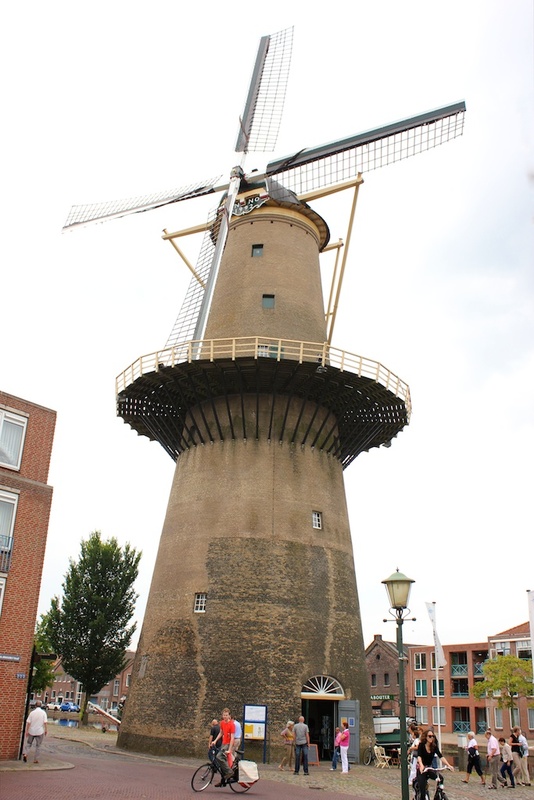 First on the list was Schiedam, a town famous for having the largest windmills in the world. One of them is now museum, which we visited. It was quite nice and even while being Dutch myself I learned some things about our history that I did not know about before. In the evening we visited Delftshaven, an old harbor town that has now grown attached to Rotterdam. It has a very different feel from the large container harbor for which Rotterdam is famous. This old harbour is from where the Pilgrims left for America, and it looks like it has not changed much since then. At one point you have to cross the channel by going over a drawbridge. 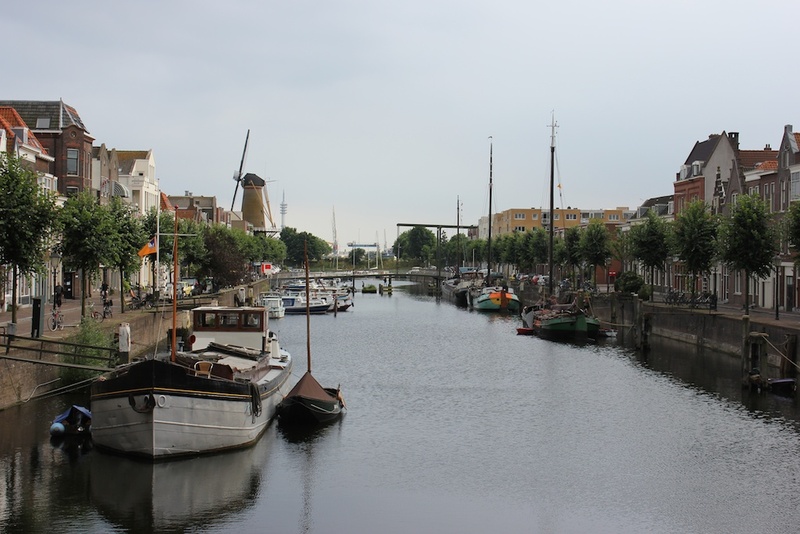 Schiedam is home to the largest windmills in the world. 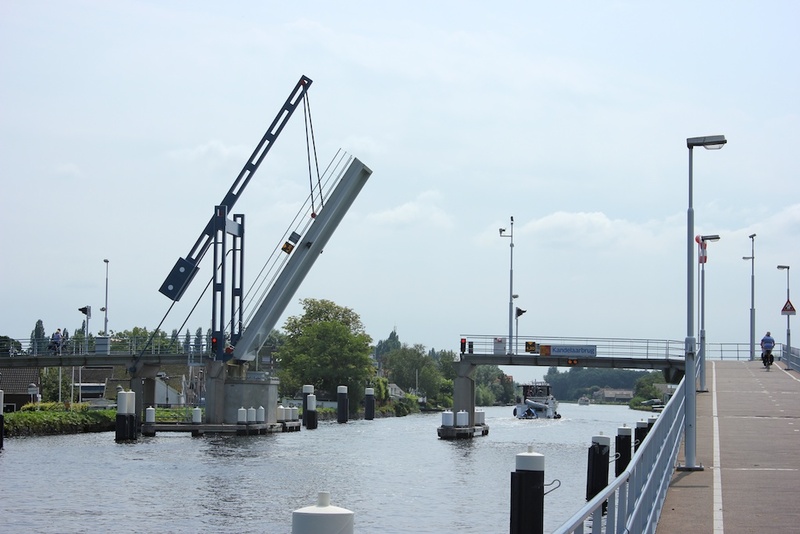 Going over a small drawbridge in Delftshaven. Delftshaven still has it's original charm intact. The we headed to the city center, which is much more modern with big skyscrapers that you will not see in any other Dutch cities. As we arrived the parade for Summer carnival had just ended and it was very busy in town and we cycled around for a bit. We crossed the famous Erasmus bridge and had a drink at Hotel New York which is a very classy place that used to be the main office of the Holland America Line and enjoyed a view of the impressive skyline by night. Hotel New York in between the skyscrapers in Rotterdam. 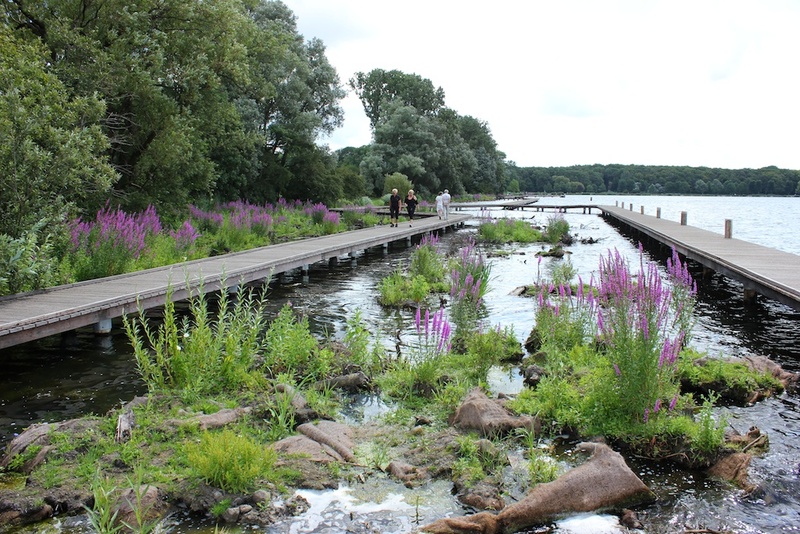 The next day we cycled out to the Kralingse Bos which is park centered around a lake called Kralingse Plas. We got some food from a local super market for a picknick and cycled back along the channel to Delft and eventually home. 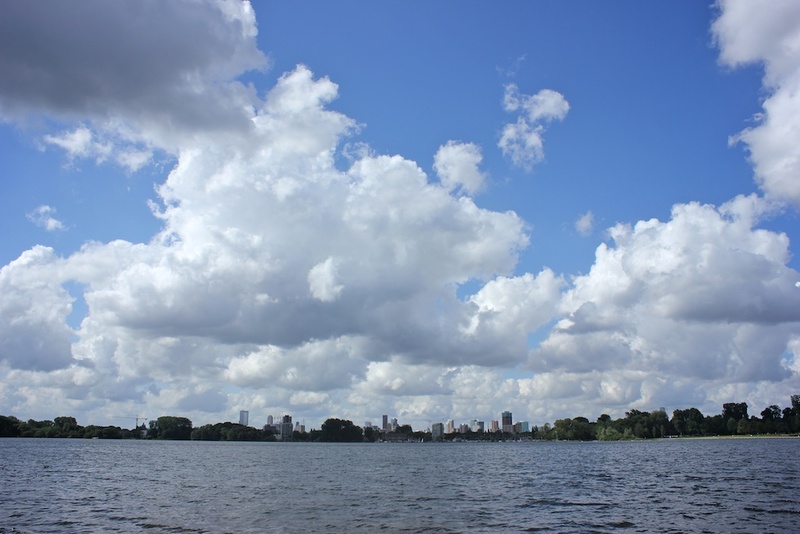 Rotterdam seen from across the Kralingse Plas. Boardwalk going over the lake with some interesting flora in between. 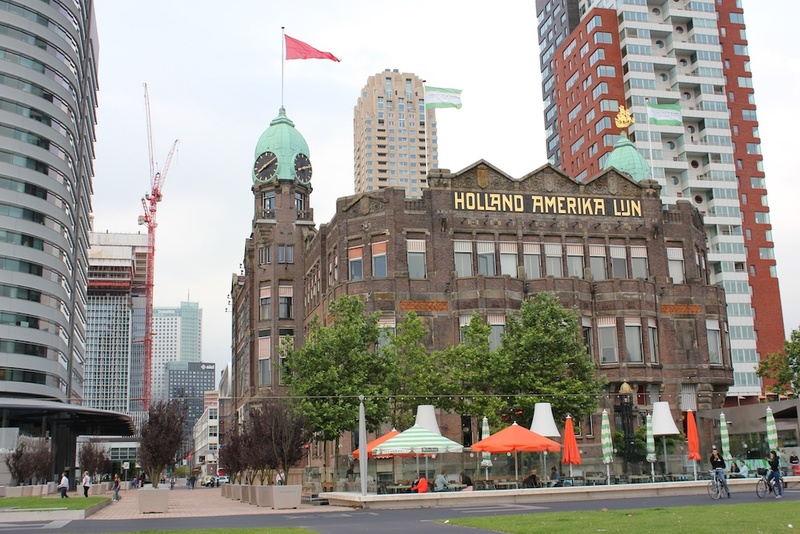 Rotterdam and it's surroundings are very diverse and cycling is a great way to explore all the different things, from the old town to the modern city center and the surrounding nature. Up until this trip I had never really experienced any problems with my bottom. After a long day of cycling you feel like you had enough, but this time it was different. About halfway to Rotterdam my bottom was getting really sore, and this continues throughout the trip, and there was not much, apart from not cycling that I could do about it. The saddle that is on the bike is an old Selle Royal that came with it. It's too wide and too soft for me. The next year I took the Selle San Marco Rolls from my folding bicycle. It's a lot narrower and harder ans not a great touring saddle either but it was more tolerable and easier to find different seating positions.